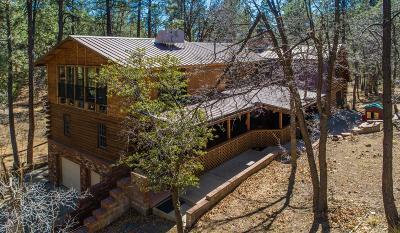 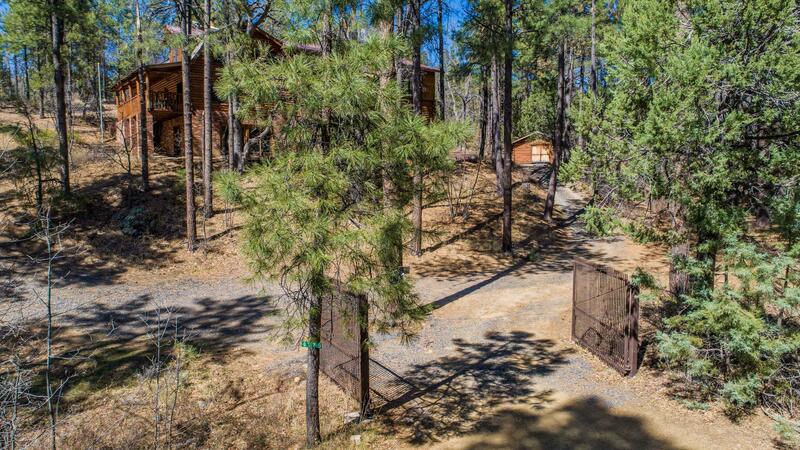 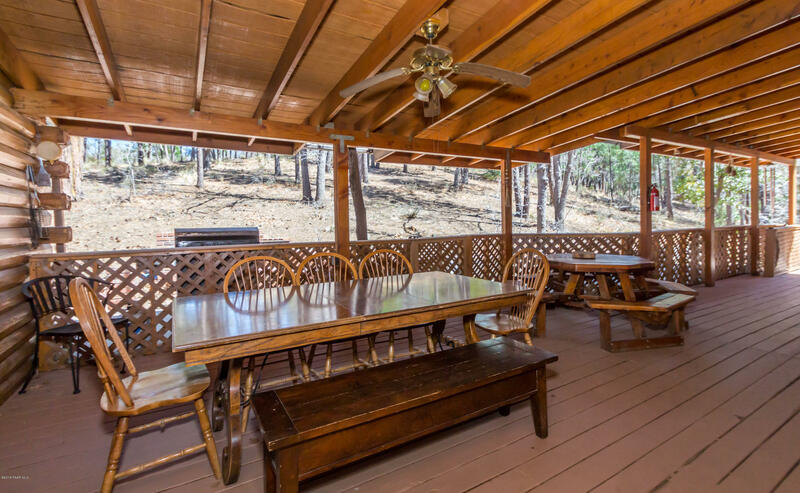 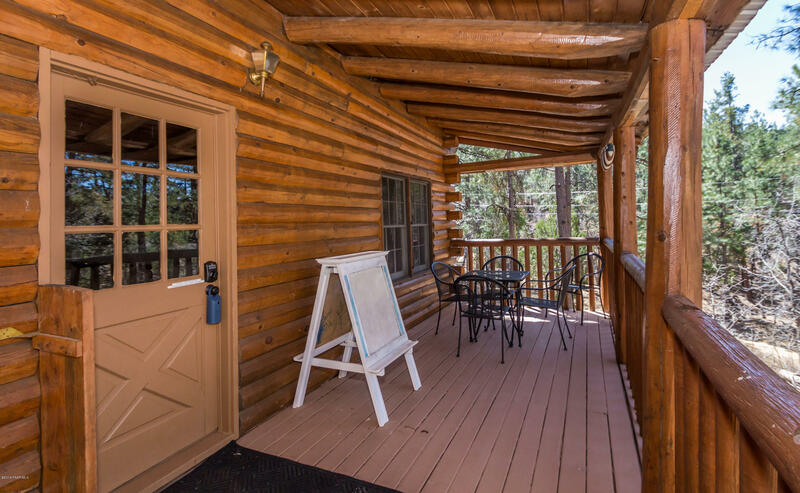 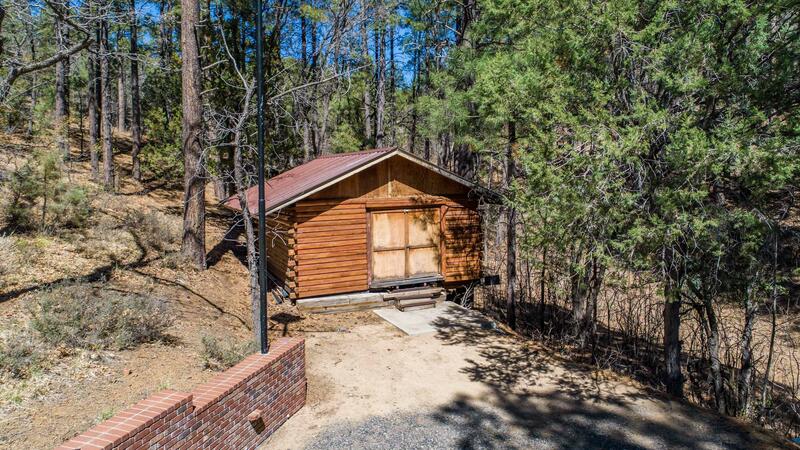 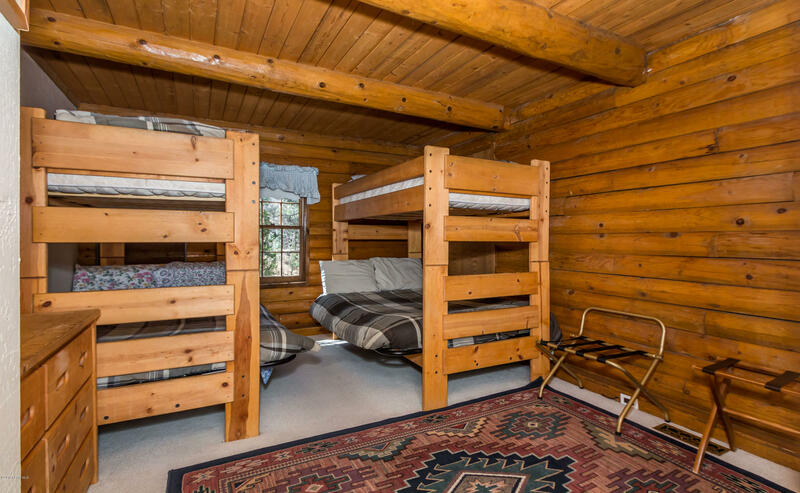 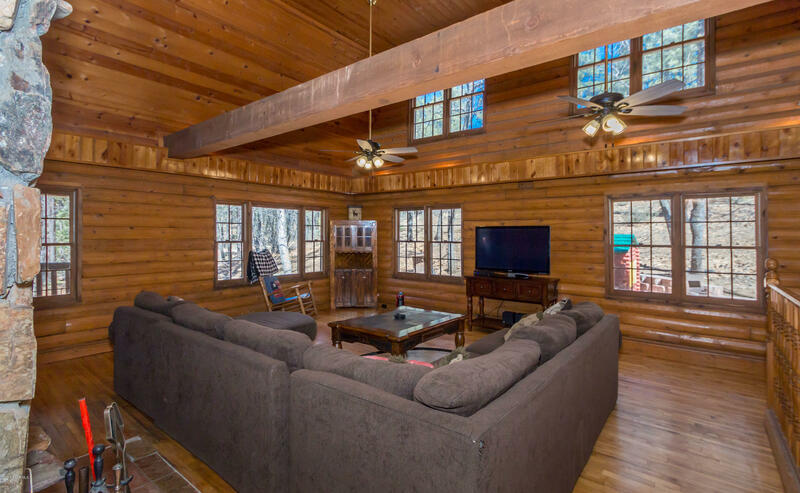 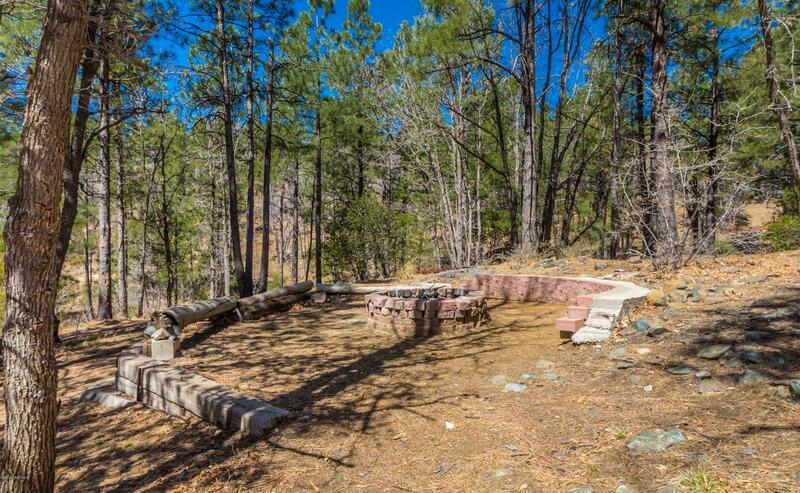 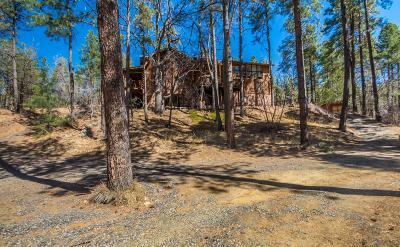 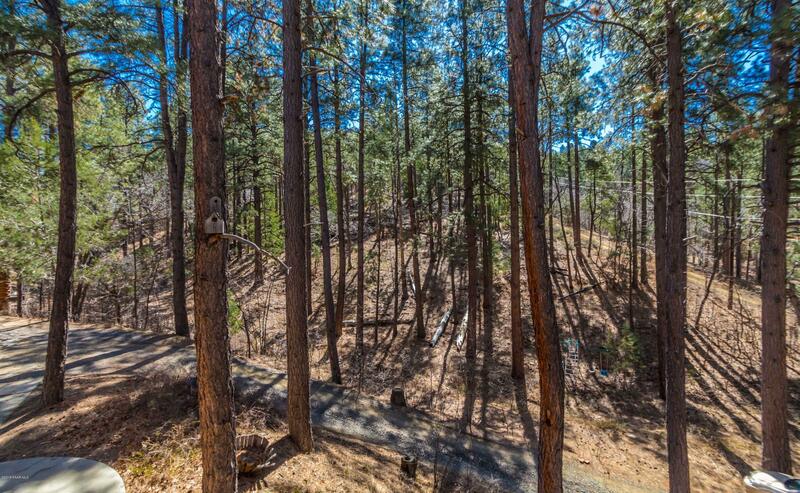 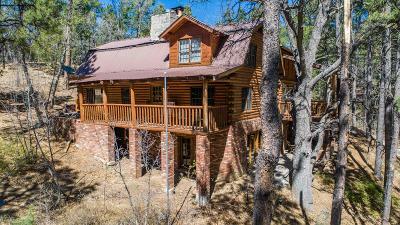 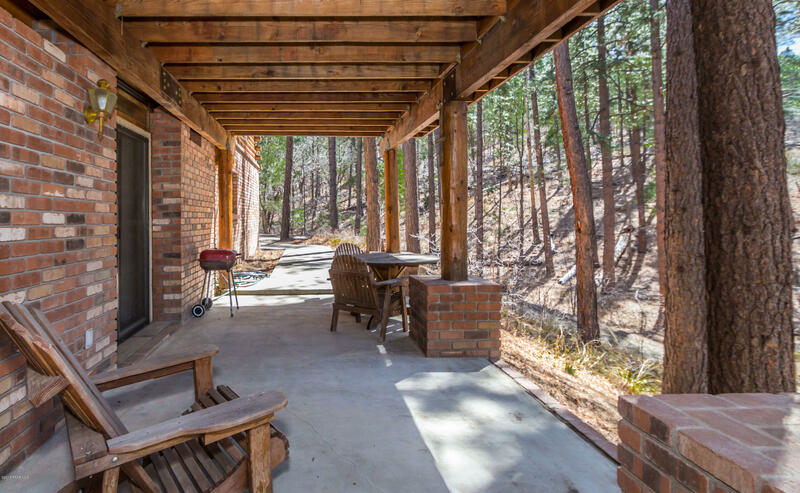 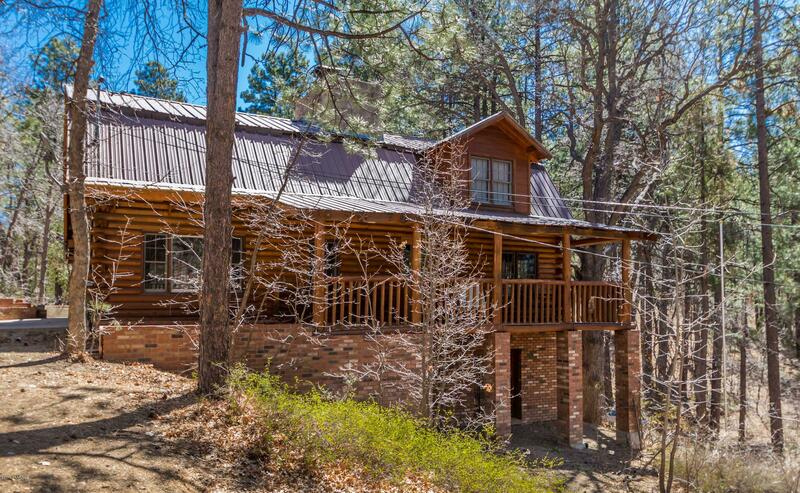 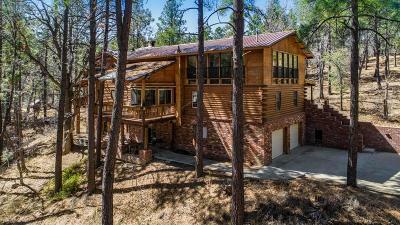 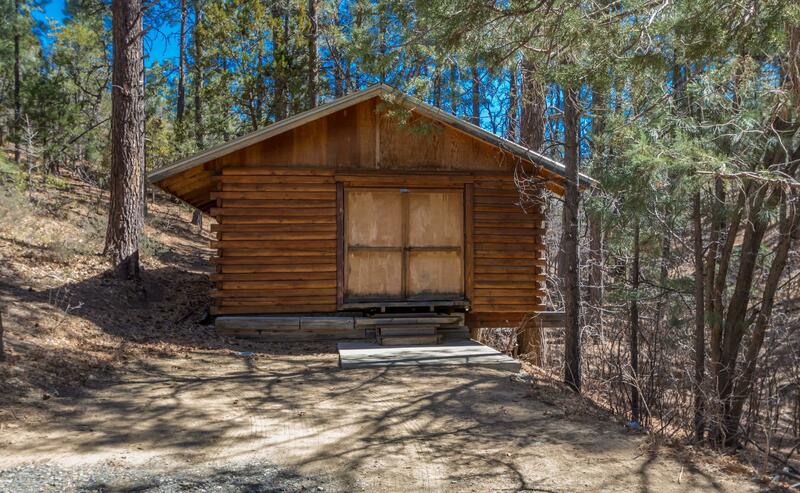 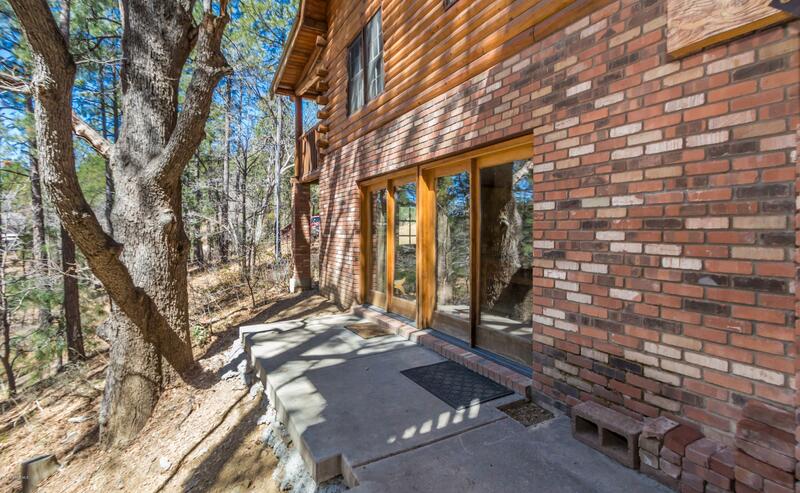 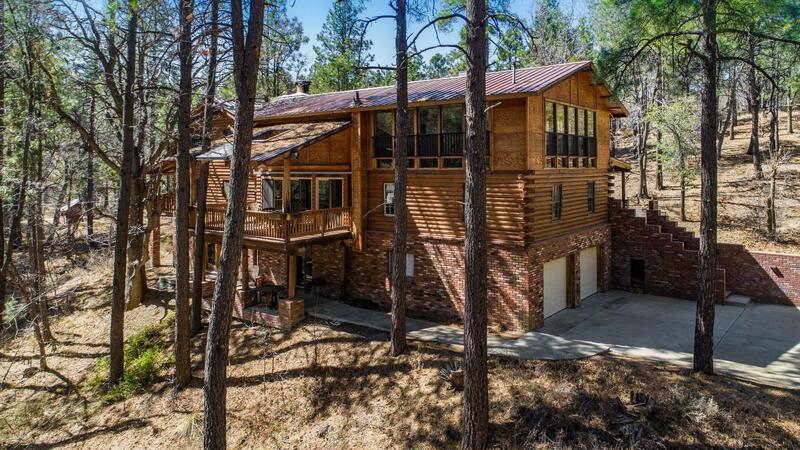 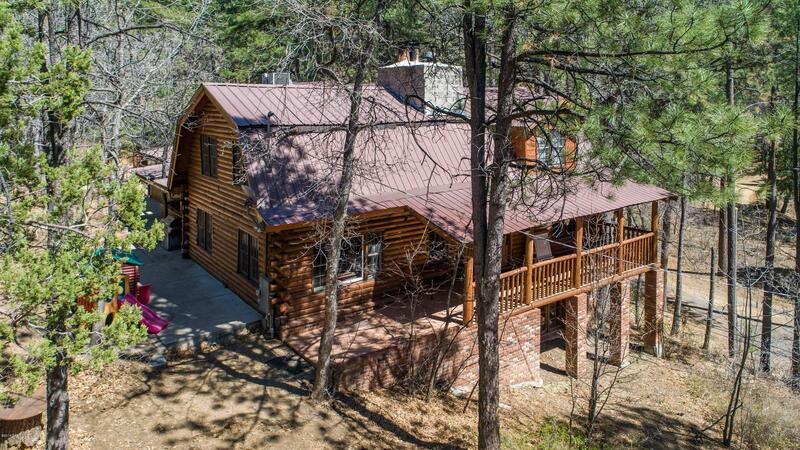 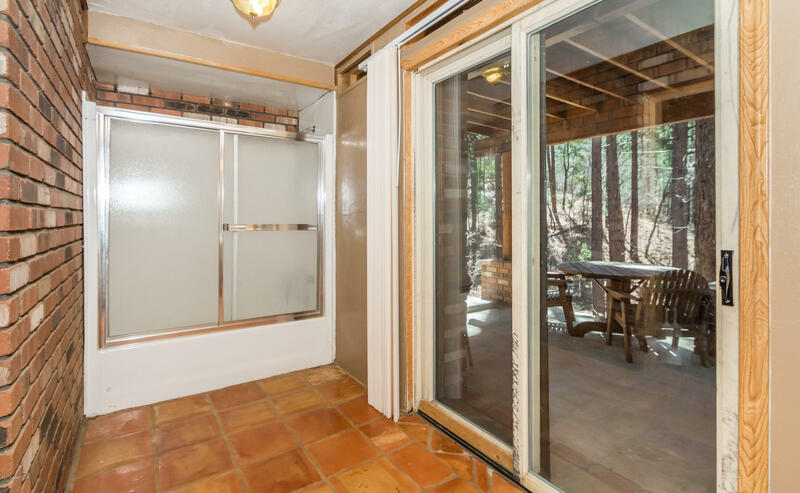 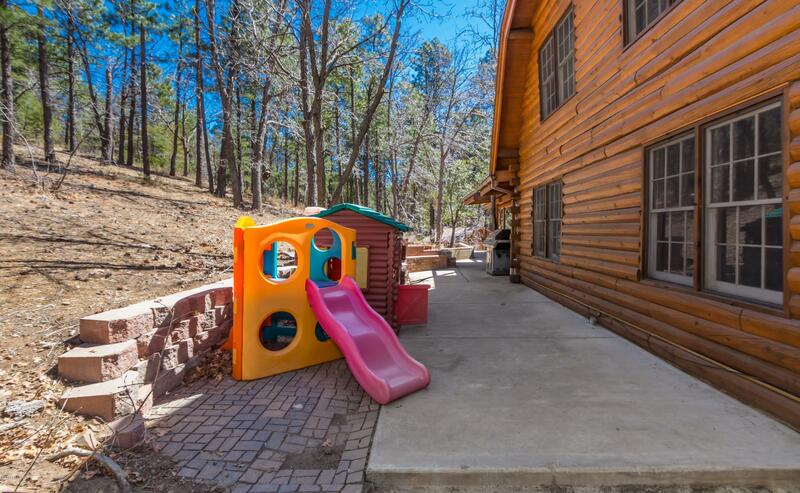 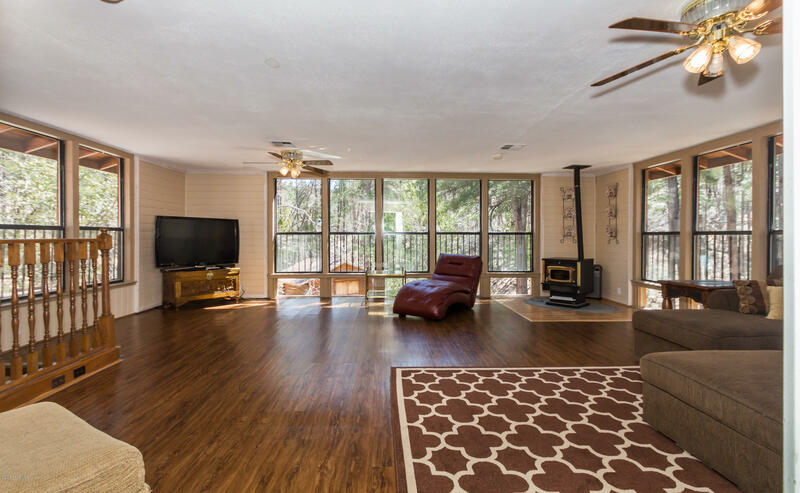 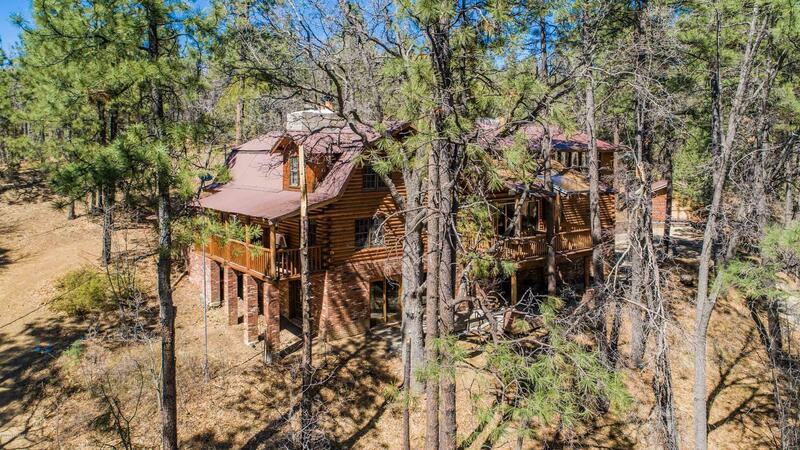 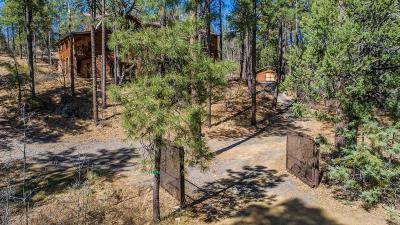 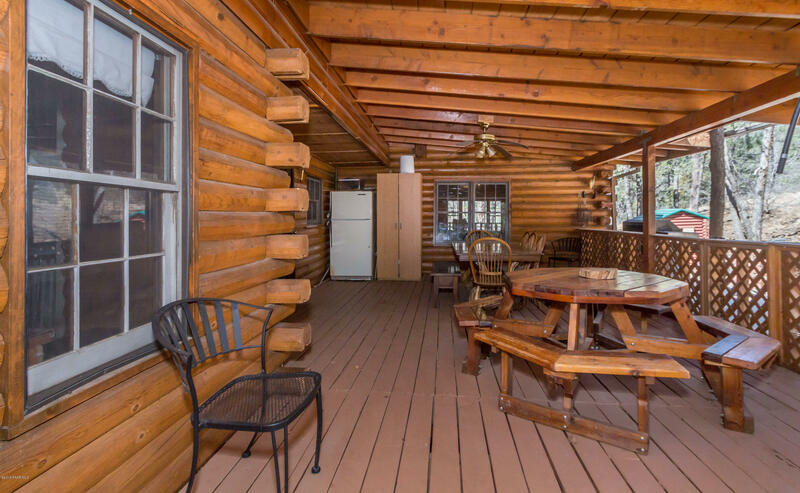 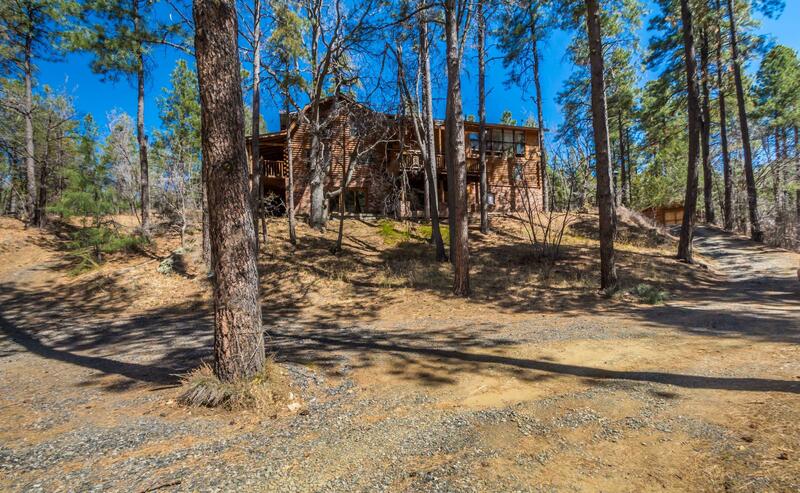 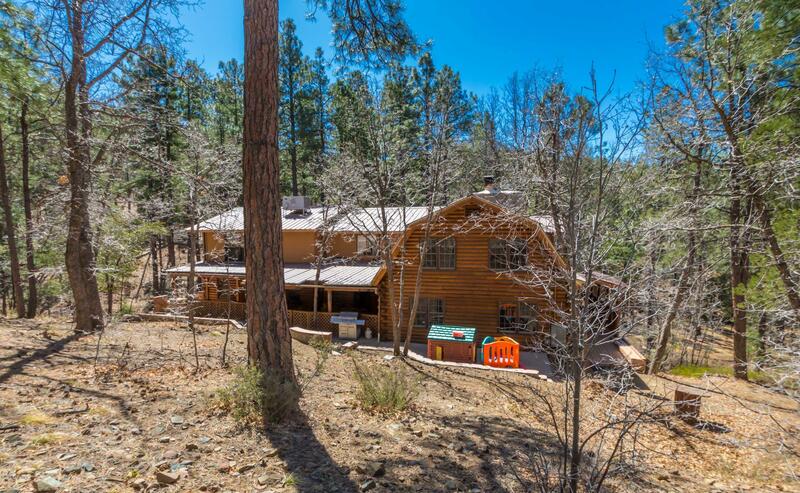 A pine forest adventure awaits you in this beautiful family home or a vacation rental or both! 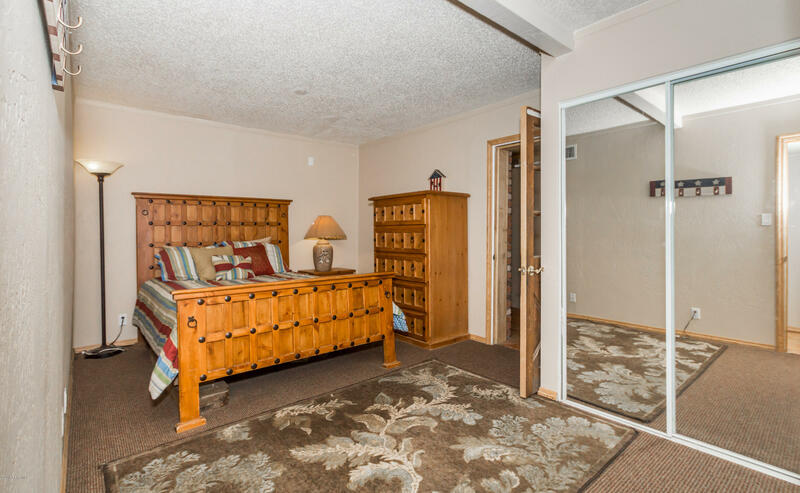 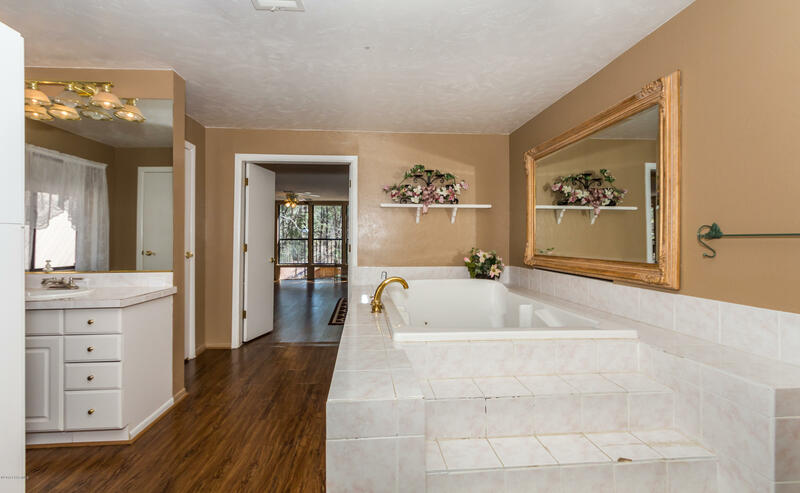 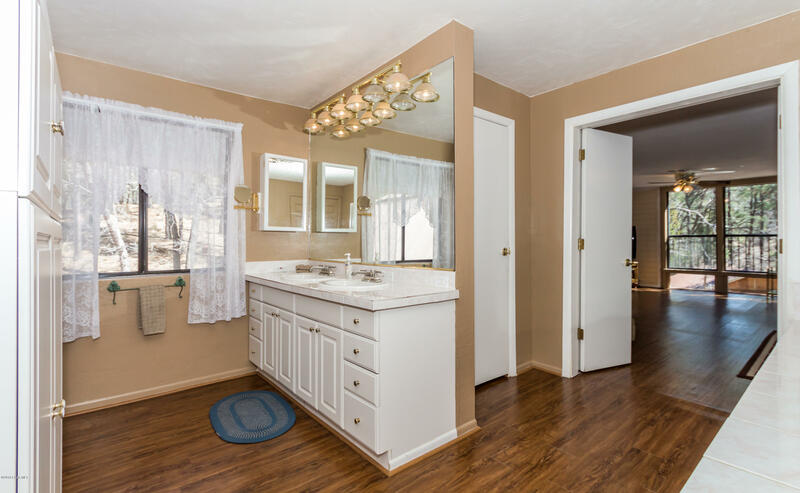 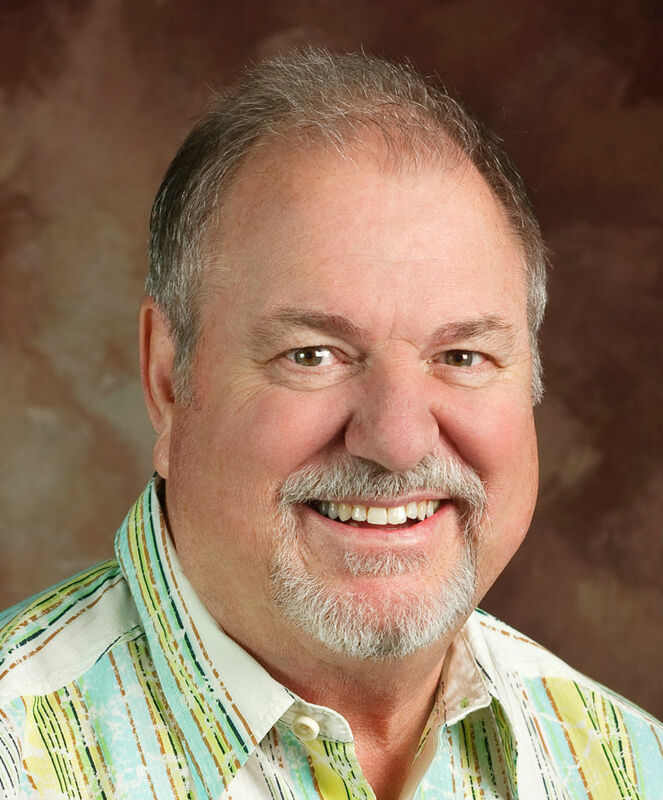 This property has been a successful vacation rental for over 10 years and the owner may carry. 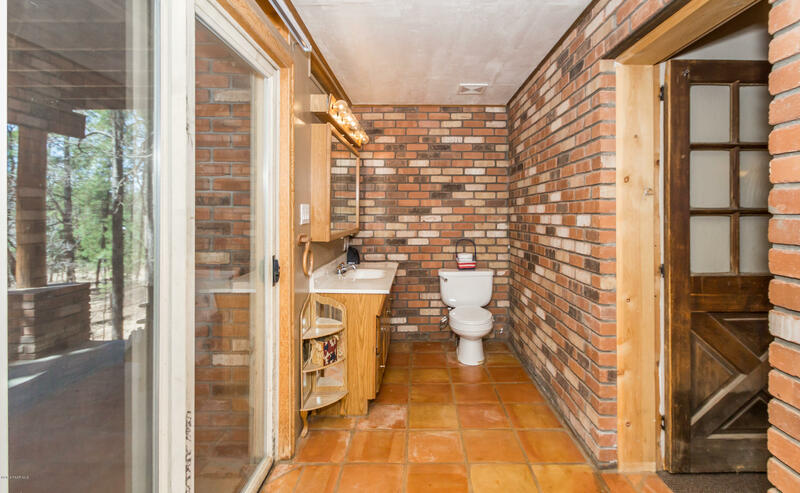 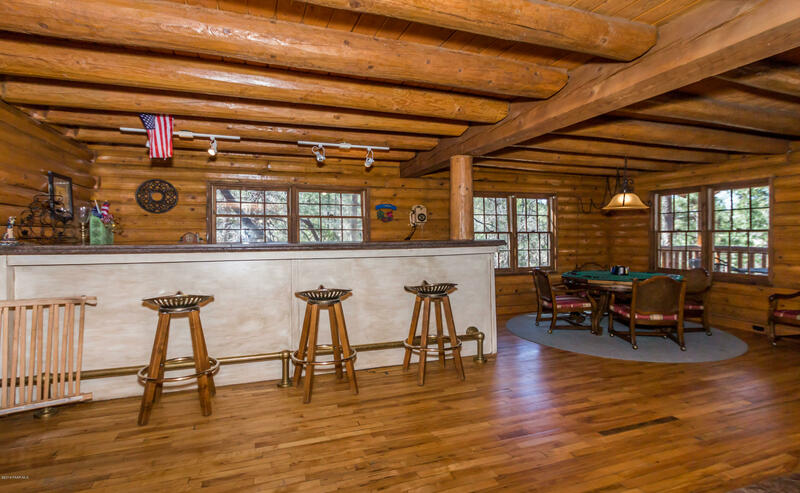 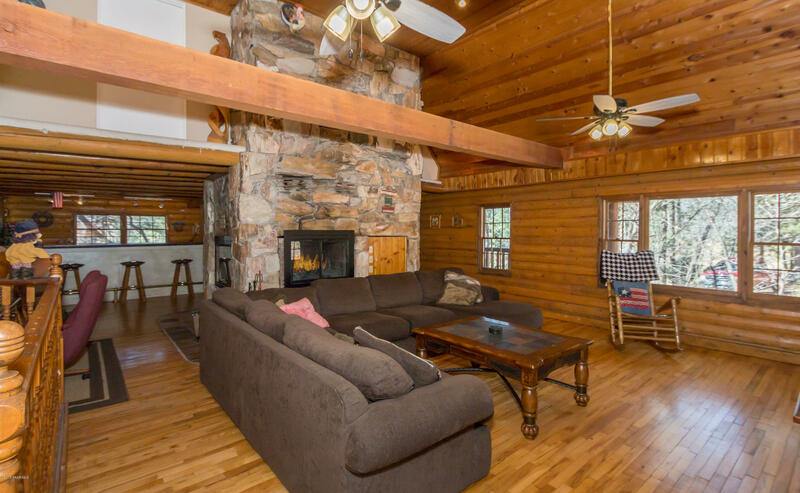 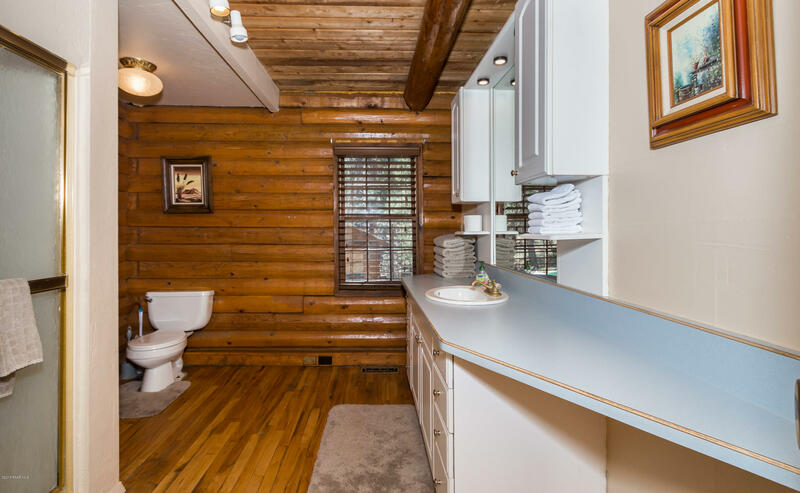 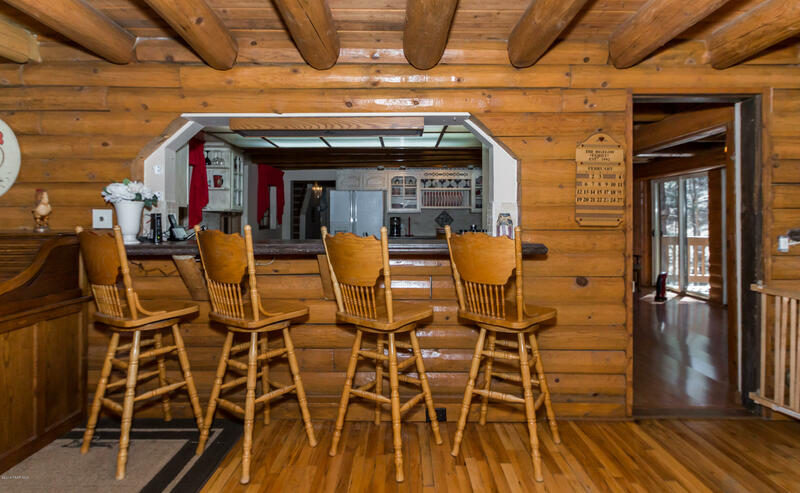 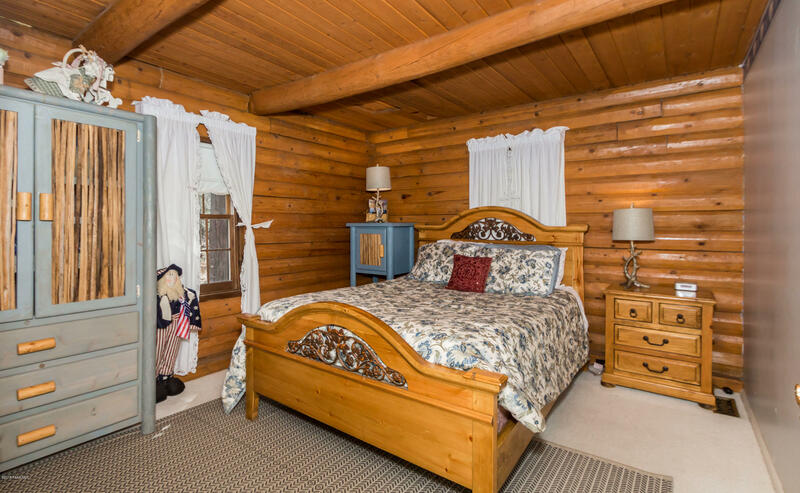 This unique lodge-style property has a log exterior and interior finish for that oh so pine country feel! 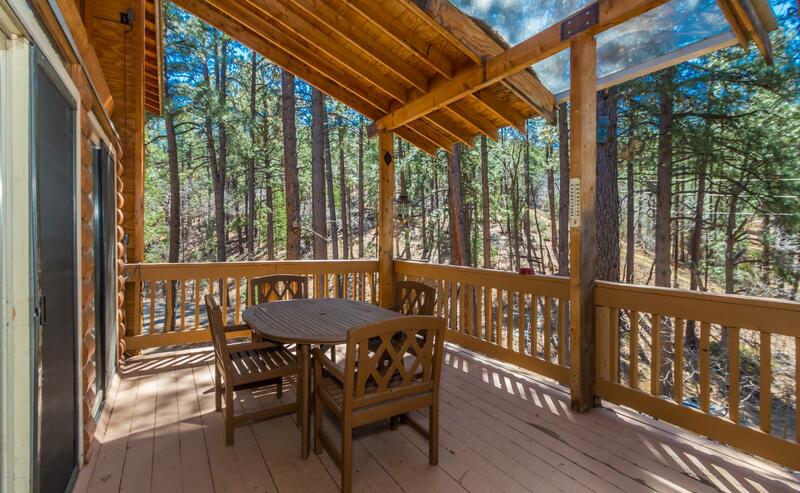 Enjoy the serene solitude with only the sound of the wind in the pines and chirping from all the wonderful wildlife. 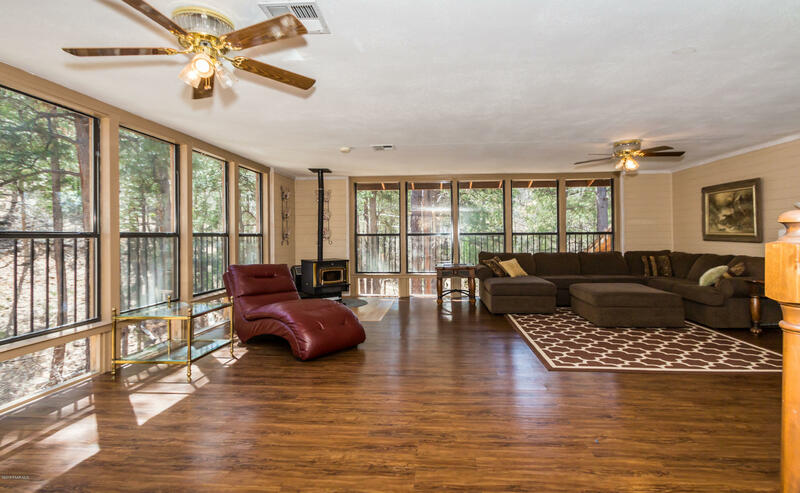 Gorgeous hardwood is featured throughout this home from the floors to the beams in the soaring vaulted ceilings. 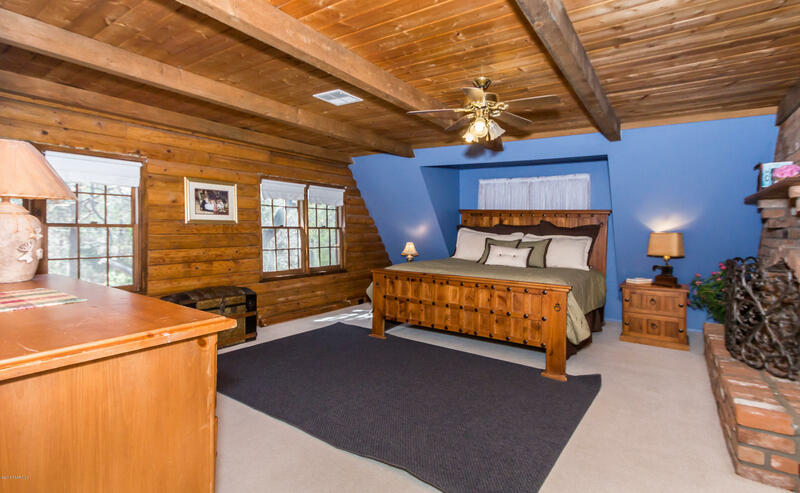 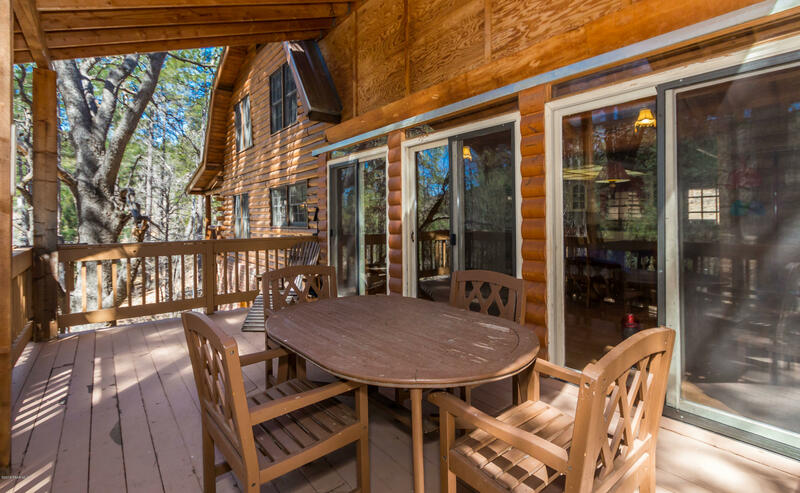 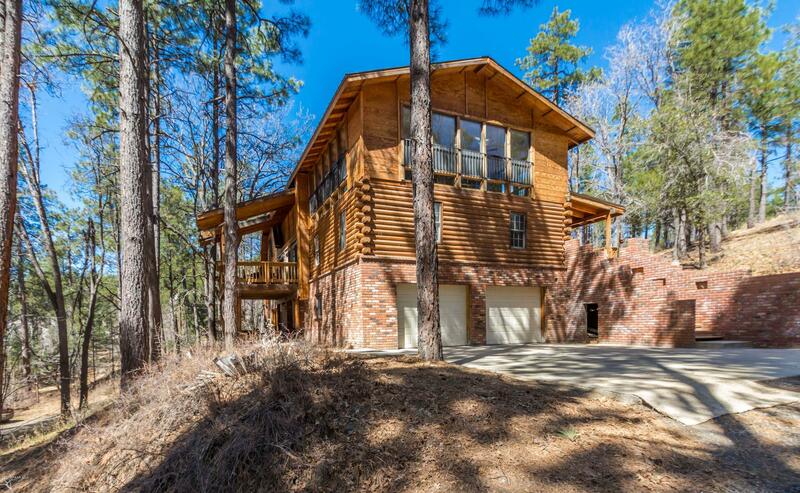 The upper level features a master suite surrounded by the pine forest out every window. 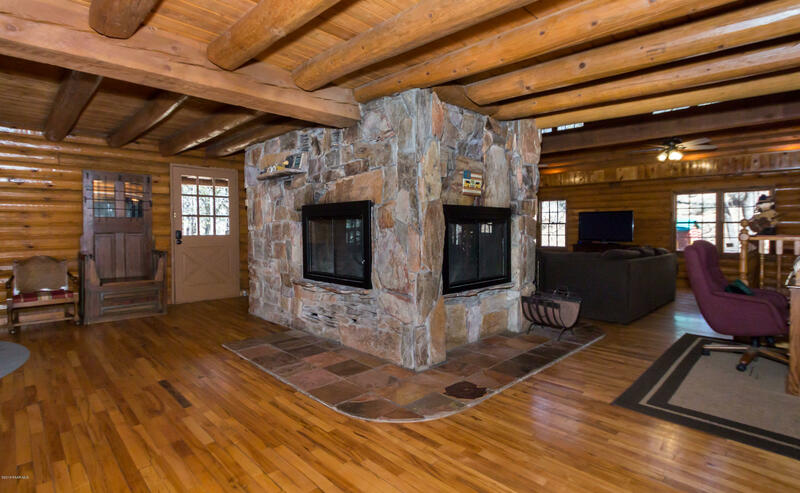 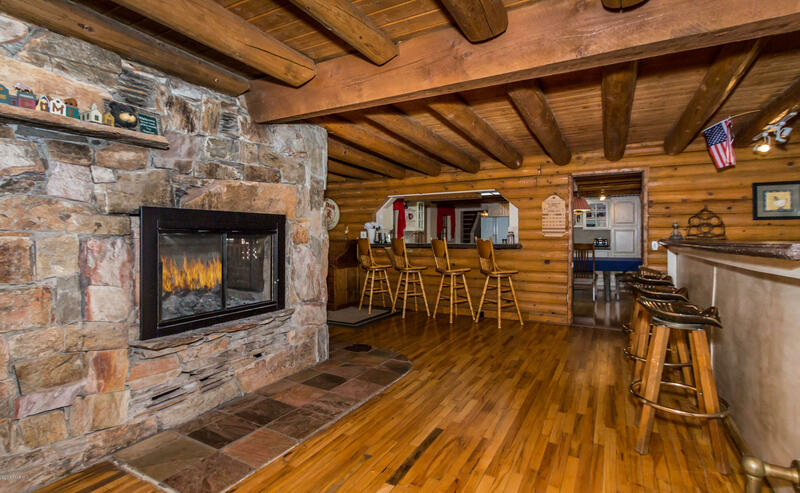 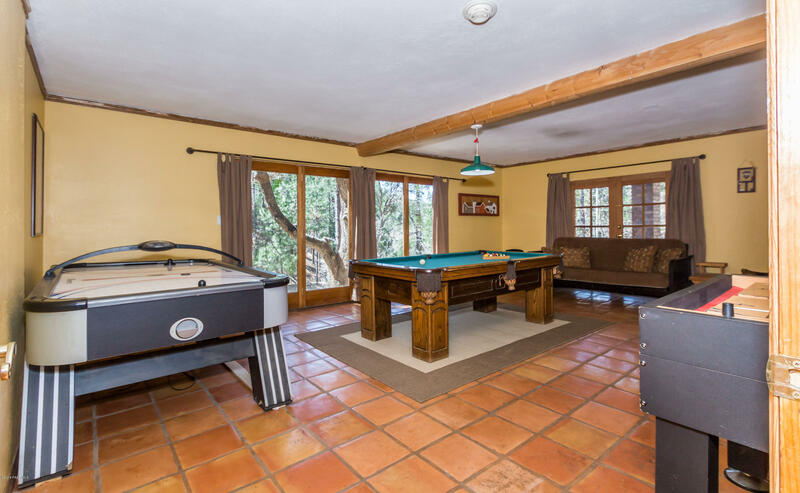 The main level has various cozy entertainment areas around the stunning rock fireplace. 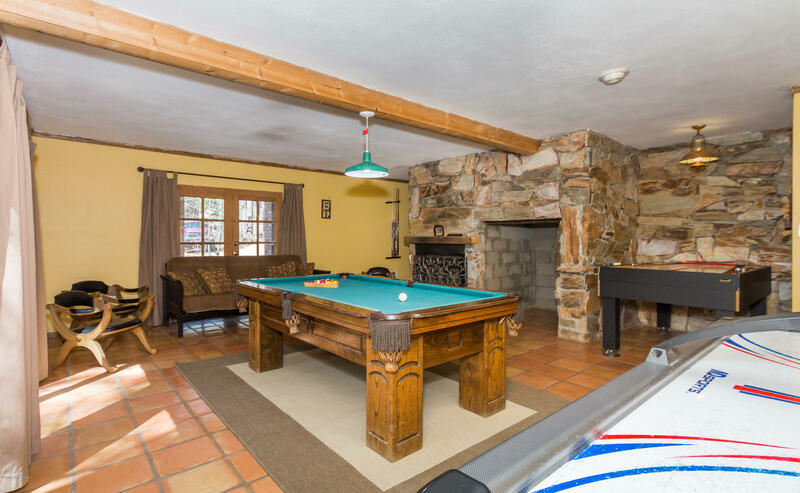 The lower level has a game room for all!